Hearing the word subcompact might not bring about thoughts of stylish and sophistication, but Toyota is changing this perception thanks to the 2018 Toyota Yaris. 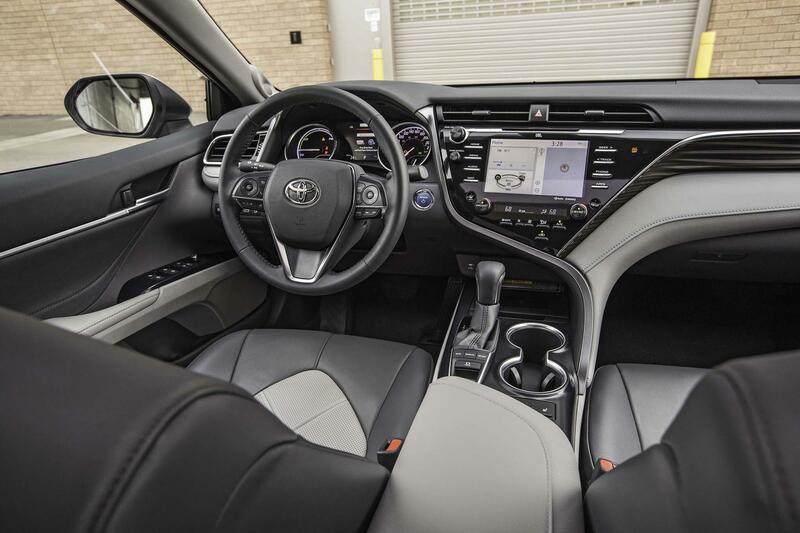 Ever since being added to the new Toyota lineup this sedan has been making a name for itself as a class-above everyday driving dynamic with several safety technologies, and premium features. Built with a high-strength body structure, this small but mighty sedan features an aerodynamic design that conveys motion – even when standing still. The sculpted front-end complements chiseled lines and an athletic profile also give this small but mighty car a dynamic and modern spirit. Under the hood, the 2018 Yaris Sedan has a 106 peak HP 1.5-litre four-cylinder engine for spirited yet efficient driving. Drivers may choose from either a six-speed automatic transmission or six-speed manual transmission. Front wheel drive, highly responsive and efficient electric power steering, and a torsion beam rear suspension contribute to driving fun and confidence. 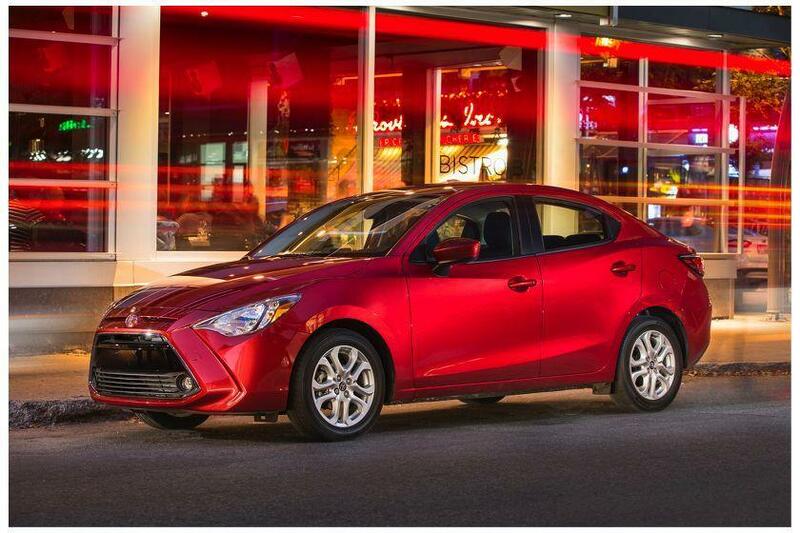 Inside, the Yaris Sedan’s cabin is comfortable and generous enough for up to five adults. Many features normally considered premium in the subcompact category are fitted as standard, including an audio system with Bluetooth connectivity, USB input, and steering wheel-mounted controls, air conditioning, power door locks and windows, cruise control, keyless entry with push button start, and more. Along with its sporty and stylish nature, the newest Toyota Yaris is also big on safety. With standard safety amenities, including an advanced Active Safety System that includes Dynamic Stability Control, Traction Control System, Anti-lock Brake System, Electronic Brake-force Distribution, Brake Assist, and Brake Over-Ride System, front side airbags and curtain airbags and a rearview backup camera you can rest assured that this new to high-class compact has both you and your loved one’s protection at heart. The available Low-Speed Collision System also scans the road for potential collisions. In other words, if this vehicle detects a frontal collision and offers an audio/visual alert and provides braking assistance where needed. Unlike most sedans, the family-friendly Yaris also includes the LATCH (Lower Anchors and Tethers for Children) restraint system. With lower anchors on outboard rear seats and tether anchors on all rear seats, you can be sure that your child’s safety seats are securely attached. The 2018 Yaris is also one of the most tech friendly sedans available. With features that include an improved Entune infotainment systems. The Yaris L and LE offers a 6.1-inch touch-screen display, Siri eyes free compatibility, a quick-charge USB port, voice-recognition technology, and more. The Yaris SE offers a larger 7-inch touch-screen display, and its version of Entune includes satellite radio and a Scout-connected navigation app. Bluetooth wireless technology also makes using your phone in your car safely. The 2018 Toyota Yaris is now available at Hometown Toyota but this popular model is going fast. Contact us today to get behind the wheel of greatness in a small package!